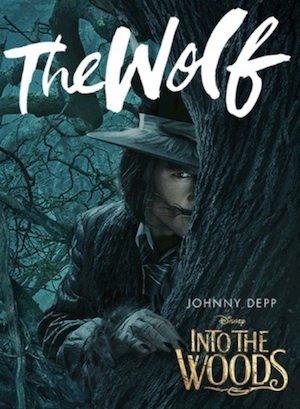 In 2014 Disney sent Johnny Depp Into the Woods to prey on Red Riding Hood as the hungry big bad wolf from the famous nursery rhyme. Into the Woods is a dark musical movie based on a Broadway musical from the same name. The main spine of the story follows a baker and his wife as they wish to start family but are hindered by a witch and her curse. Into the Woods addresses adult moral dilemmas in a world of fairy tales by intertwining popular fairytale characters: Red Riding Hood & the Big Bad Wolf, Cinderella & the Prince, Jack & the Beanstalk, and Rapunzel. Although made by Disney and having a PG rating, Into the Woods is not recommended for kids.